The Real Estate Investment Specialists! Real estate investing is a business; real estate investing is serious business! In order to succeed the layperson needs to work with licensed professionals. Your stockbroker, accountant, and certified financial planner are all licensed professionals that help you manage and acquire wealth. Real estate investors should have the same qualified, licensed, and experienced professionals working for them. How is IRA Real Estate, LLC Different from Other Brokerages? It’s important to state that IRA Real Estate, LLC is a licensed real estate brokerage. Our agents can perform ALL the functions of the typical real estate agent at any other brokerage. However, we choose to use our experience and expertise to give average American’s the ability to invest in real estate by strategic planning and utilizing licensed real estate professionals. Because of its complexity and esoteric nature most people are not able to invest in real estate successfully. Even those that have a degree of success fall woefully short of the true possibilities that real estate investing affords. Yet, the bulk of the “average” American’s wealth is tied to the real estate they own. Our goal is to help our clients embrace real estate as the wealth vehicle that we know it to be. Using the services of successful, dedicated, and expert professionals has not been possible until now. IRA Real Estate, LLC is the only company we know that is completely dedicated to this sole purpose. 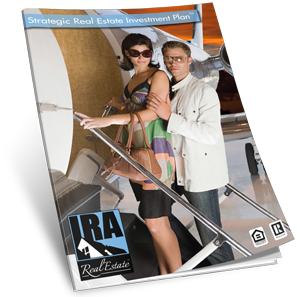 IRA Real Estate, LLC – The Real Estate Investment Specialists! The Best Real Estate Investment Plan…is the one personalized for you!